Pelosi said Sunday she had spoken with the House Sergeant at Arms about Omar’s safety and that she wanted to make sure a security assessment was being conducted. Omar was speaking last month to a California chapter of CAIR — the Council on American-Islamic Relations. It was actually founded in 1994. Trump included in the tweet an edited video of the 9/11 attacks. “Certainly the President is wishing no ill will and certainly not violence towards anyone, but the President is absolutely and should be calling out the congresswoman for her not only one time but history of anti-Semitic comments,” Sanders said. Omar noted Trump would be visiting her home state on Monday for a rally. “Violent crimes and other acts of hate by right-wing extremists and white nationalists are on the rise in this country and around the world. We can no longer ignore that they are being encouraged by the occupant of the highest office in the land. Counties that hosted a 2016 Trump rally saw a 226 percent increase in hate crimes in the months following the rally. And assaults increase when cities host Trump rallies. 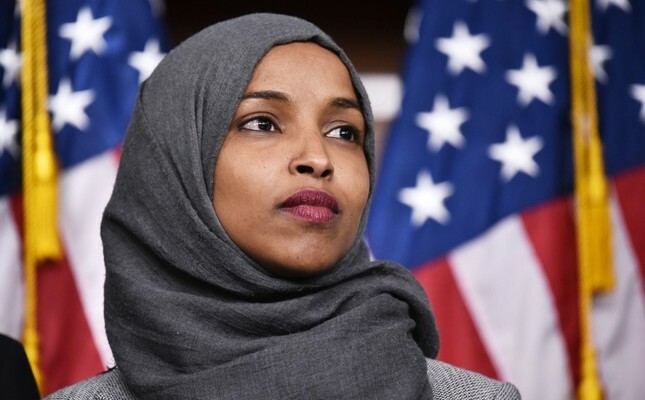 This is particularly concerning given the president’s visit to my home state of Minnesota on Monday,” Omar said in her Sunday statement.